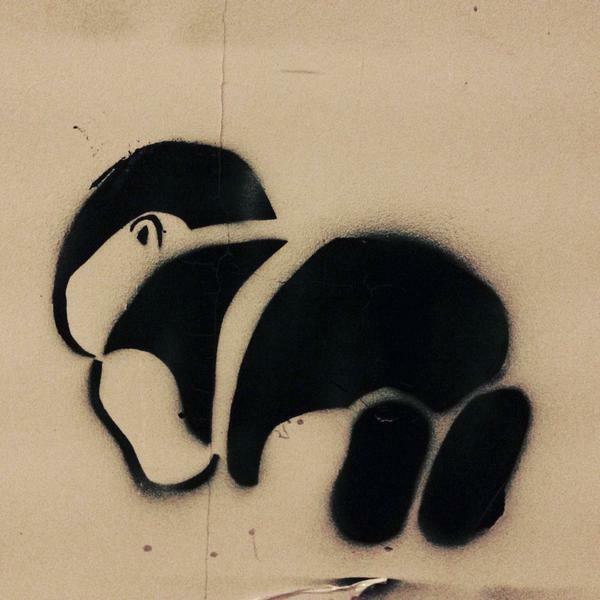 Stencils like this show that the position of Aylan’s body has become iconic in itself, Ray Drainville argues in a research report on the images of Aylan. The short paper Radhika Gajjala and I wrote about the negative portrayals of refugees on the Twitter hashtag #RefugeesNOTwelcome was just published in Feminist Media Studies. Hooray for the fastest idea to publication ever! A closely related project is the Visual Social Media Lab at the University of Sheffield’s The Iconic Image on Social Media: A Rapid Research Response to the Death of Aylan Kurdi*. I love the format of this 70 page research report: 18 scholars have written very short papers on different aspects of the reception of the image, from an analysis of exactly how the image spread on Twitter and other social media, through an analysis of data from Google about how different countries’ searches about migrants changed after the image went viral, discussions of the growth of Facebook groups like #WelcomeRefugeesNorway to discussions of the iconography of the image itself. Radhika and my paper also discusses images in social media, but we looked at images shared on #refugeesNOTwelcome that were part of the backlash against the sense of empathy and care that flowed through Europe in response to the images of Aylan in particular. We gathered images from the last three weeks of September 2015, just after the Aylan images were spread, on September 2 and 3. Here photos allegedly of current refugees are contrasted to an example of a familiar idea of what a worthy refugee should look like. 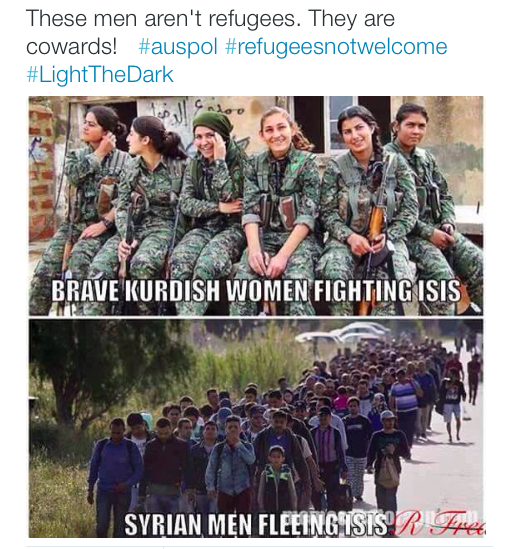 Other composite images made the argument that the men escaping Syrian were cowards, in contrast to brave women staying to fight. This is where Radhika’s deep knowledge of post-colonialism and of the subaltern were very useful, allowing us to contextualise these and other images in terms of earlier portrayals of Arabic men, and letting us see how these visual claims were only allowing Arabic men to have two positions: either they are terrorists or they must be cowards. Another way of understanding images is through the iconography of the long traditions of art history. Several chapters in the Aylan report do this. Ray Drainville analyses the images of Aylan’s body lying on the beach in the context of the aestheticisation of death in Western art, which has been particularly evident in portrayals of the dead Christ. Even the foreshortening of the most shared image of Aylan’s body is familiar from a well-known painting of the dead Christ. 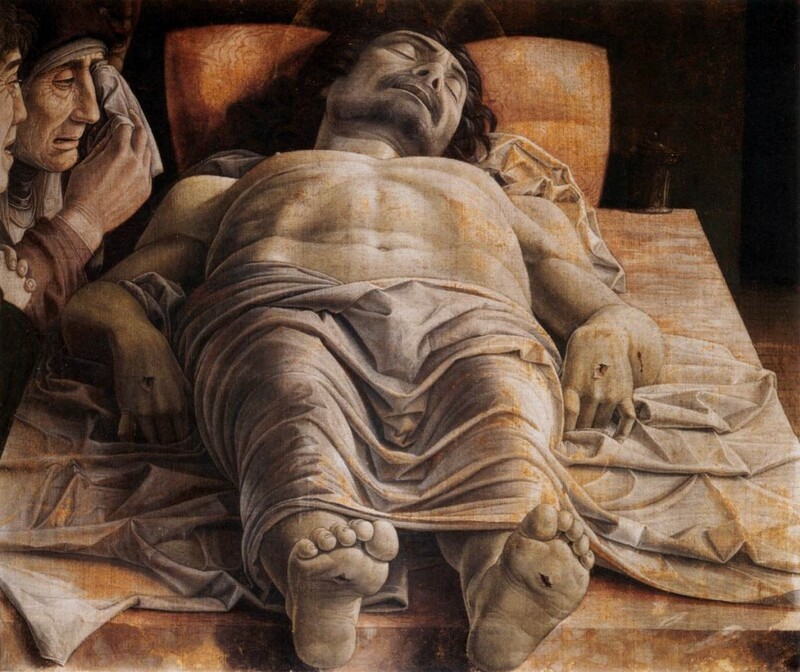 Andrea Mantegna’s Lamentation over the Dead Christ. Note the foreshortening of the body. 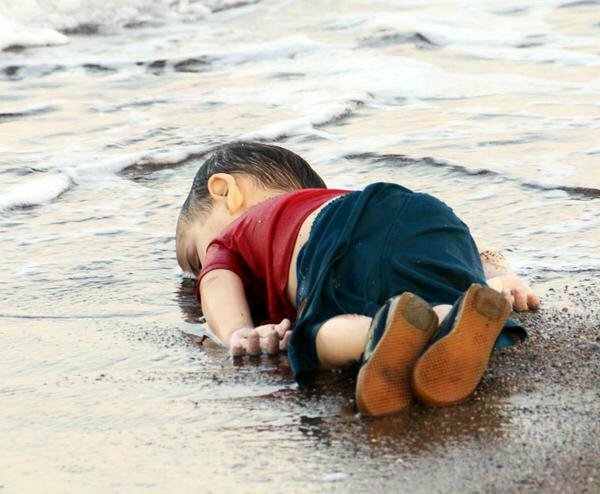 Aylan Kurdi on the beach. Essentially, it is a Pieta, originally coined in 11th century Byzantium the iconography developed in Northern Europe from about 1400 as a stage in the depiction of the Passion of Christ (Figure 11). As such we could tag it with the words: Family; Sacrifice; Martyrdom; Displacement; Flight; Survival; Protection; Resurrection; Redemption; Salvation; Pity; Mercy; Sorrow; Piety and ultimately Victory over Death. Crucially, the body is held forward by an authority figure (Mother of God, father, soldier, policeman, fireman). The body is held in a gesture of offering up, as if to bear witness and to implore for the intercession of an even higher authority. 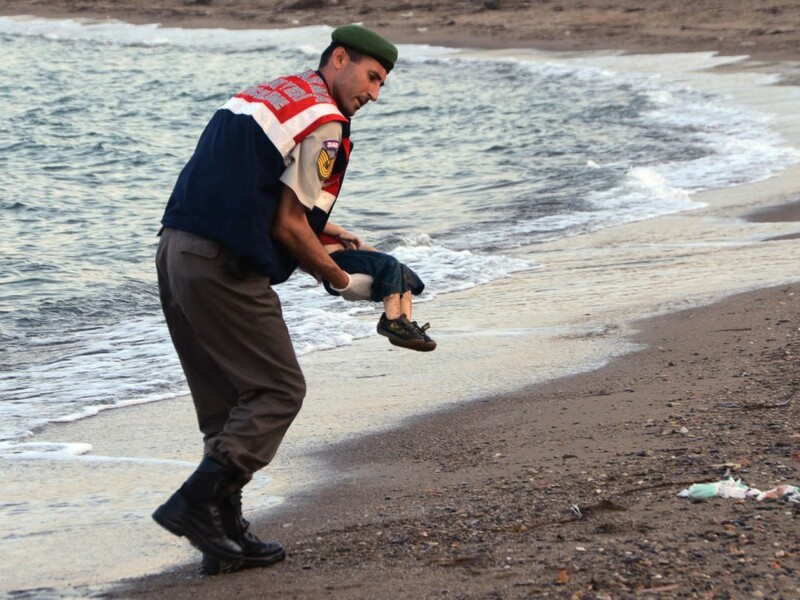 One of the images that was heavily circulated was the police officer carrying Aylan’s body. 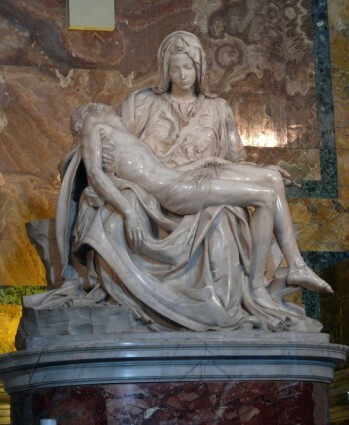 Michaelangelo’s Pieta at the Vatican shows Mary holding Jesus after his death. The pieta motif is one of the most common in Western art history. The images were immensely influential in Europe, but of course they were also spread elsewhere, particularly in Middle-Eastern cultures, where the pieta is not part of the cultural heritage. Auchlich notes this, mentioning that different images were more popular in non-Western sources. It is interesting to note that accounts of the event from non-Western sources favour the image of the body alone to signal a different visual tradition. 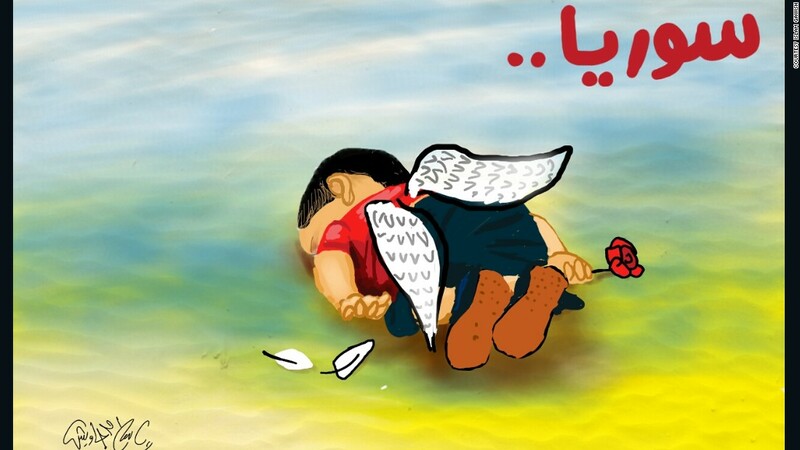 An example of a version of the Aylan image showing Aylan as an angel. 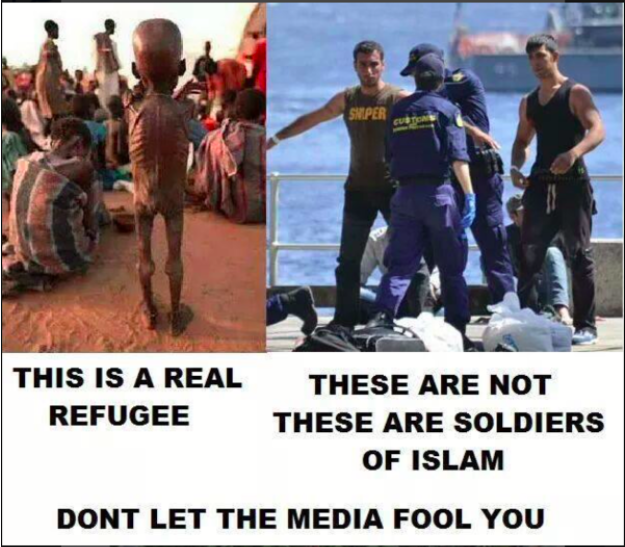 There is a lot more to say about these images, and about the many edited and altered versions of the Aylan images. The short papers in the Visual Social Media Lab’s report or my and Radhika’s short paper are just touching the top of the iceberg. But taken together, they say a lot.